Bogdan Zumbreanu has been appointed as the National Anti-corruption Center director during a plenary session of Parliament. His mandate will expire in five years and will not be prolonged. After the vote of the deputies, Zumbreanu took the oath. "I swear to strictly respect the Constitution and the laws of the Republic of Moldova, to consciously fulfill my obligations, to defend the order of law," said CNA director Bogdan Zumbreanu. Prior to being elected, Zumbreanu responded to deputies' questions. "You are one of the founders of this center. I know you as an honest man, as a very competent person, so it was all the time we worked together," said Communist Vladimir Voronin. "You have been working in the center for long time, I would ask you if you have somehow documented before applying for this high office, which is the degree of credibility in the society, in the activity of the CNA," said MP PL Casian. "Everyone is treated with equal respect by the center employees," said CNA head Bogdan Zumbreanu. MEPs were curious to find out how the press knew about CNA operations. "Interestingly, but how do they know that the CNA will be in the place. 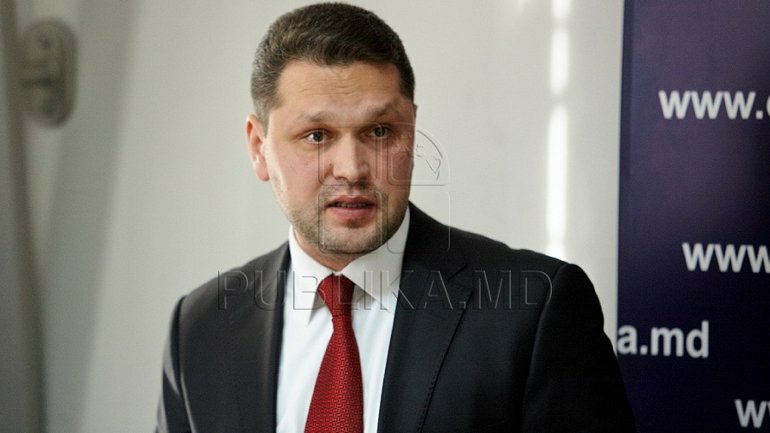 Interestingly, this is a planning coordinated with the televisions," LDPM deputy Tudor Deliu said. "There have been no cases when the media arrived on the spot before us, I assure you. CNA intervenes in public institutions because it is the work place of the subjects targeted in our investigations," said CNA head Bogdan Zumbreanu. MEPs asked him what he would do to face the pressure. "I want to ask if your appointment will ensure this independence, and the political mix will be totally avoided and countered," PL deputy Roman Botan asked. "I hope that with your help, we will prevent political intervention to the CNA, only allow notifications of committing crimes and not with other complaints," said CNA's new director Bogdan Zumbreanu. Zumbreanu was also asked about CNA employees appearing in press investigations. "What about the CNA employees coming to work with millions of luxury cars, who own apartments and houses that are owned by relatives," said PL deputy Alina Zotea. "I assure you that in the capacity, if I get the mandate of a director, I will have a discussion with each of the individual employees involved in this investigation," Zumbreanu said. The National Anticorruption Center remained headless at the end of October, after the term of office of former Chief Executive, Viorel Chetraru, expired.